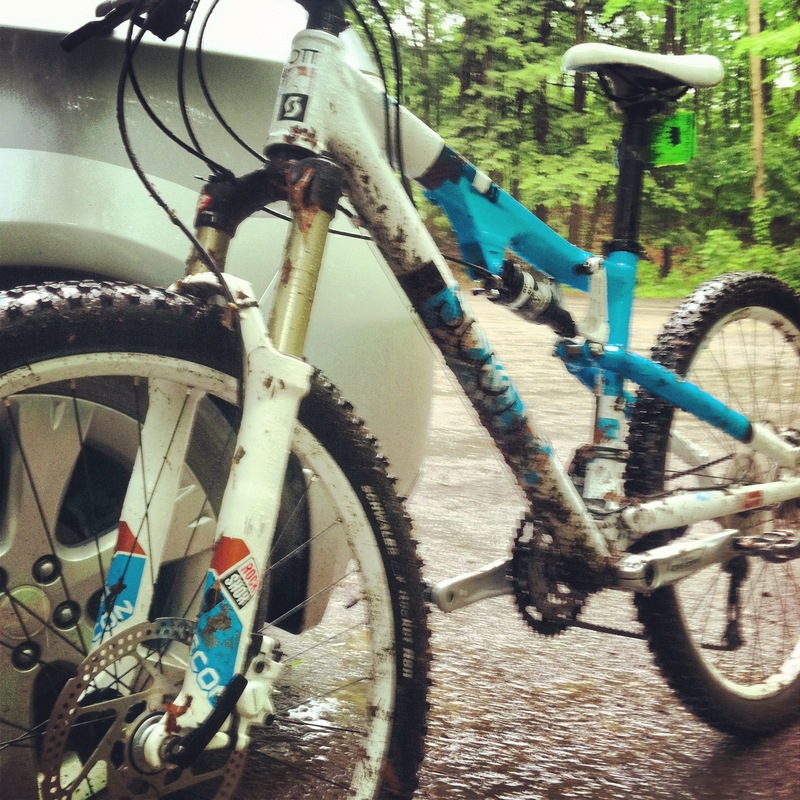 Yes, I just finished my first mountain bike ride in the rain. My prediction that the forecasted downpour rain would wait for another couple hours to allow me to go for a ride was 100% wrong. Ten minutes into my ride, down came the rain. And not just a drizzle. This rain had a mission to wipe me out…And, I did have some wipe outs. I’ve had pretty good luck weather wise when it comes to mountain biking. I really don’t mind running in the rain, or even open water swims when it is drizzling outside (as long as it isn’t cold). I’ve road ridden in single digit weather. And, ridden on roads when it has rained. 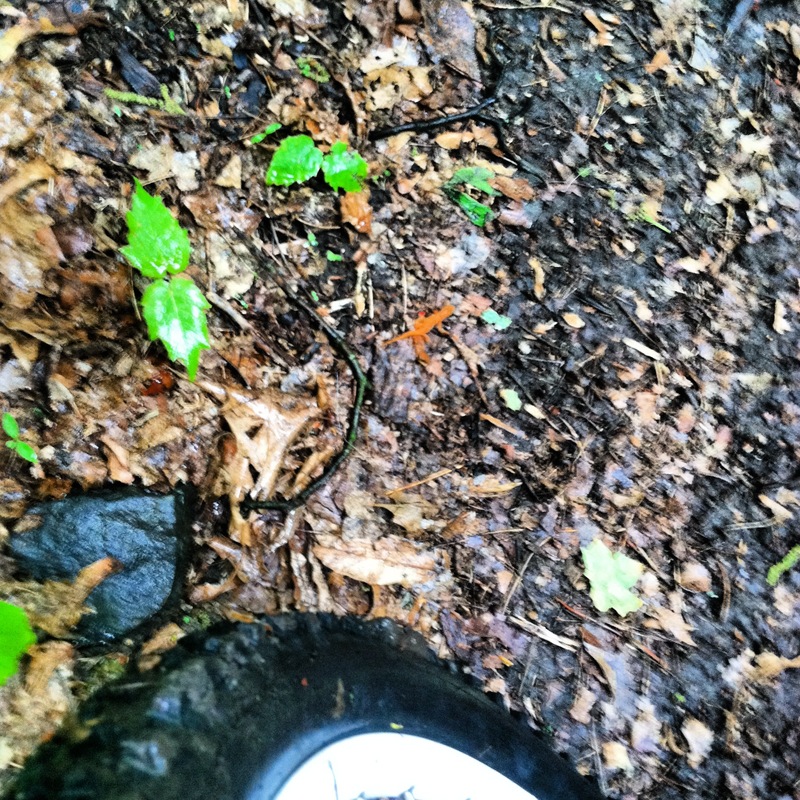 But, this was my first experience mountain biking in downpour. Well, truth be told, last year around this time I did fall off a bridge into water riding a bike. But, that’s different. What I learnt: it’s kind of a lot tricker riding in rain. 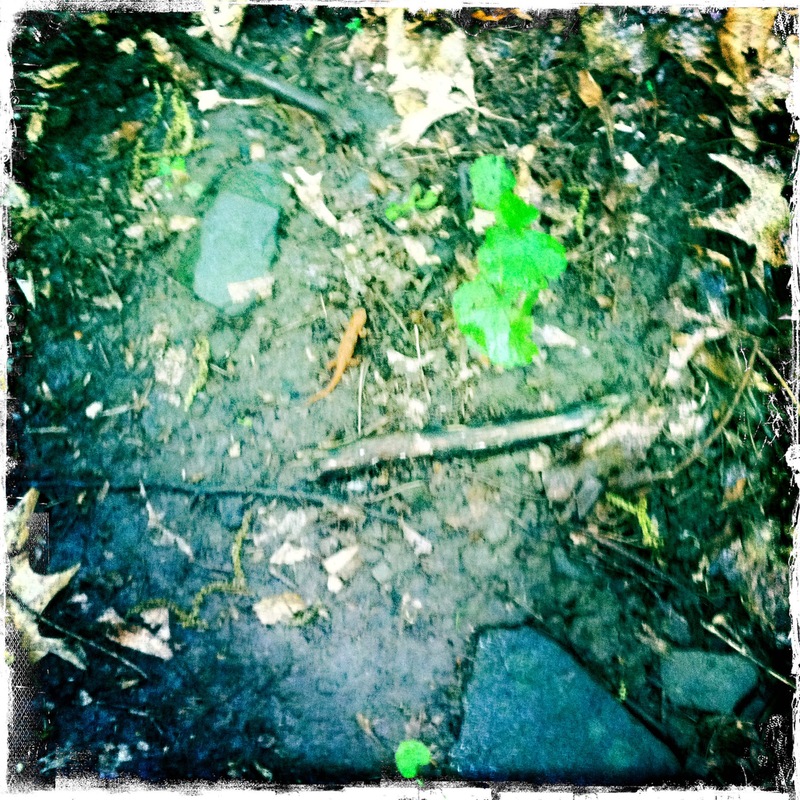 Small creatures= blocking trails (I don’t like running over salamanders). 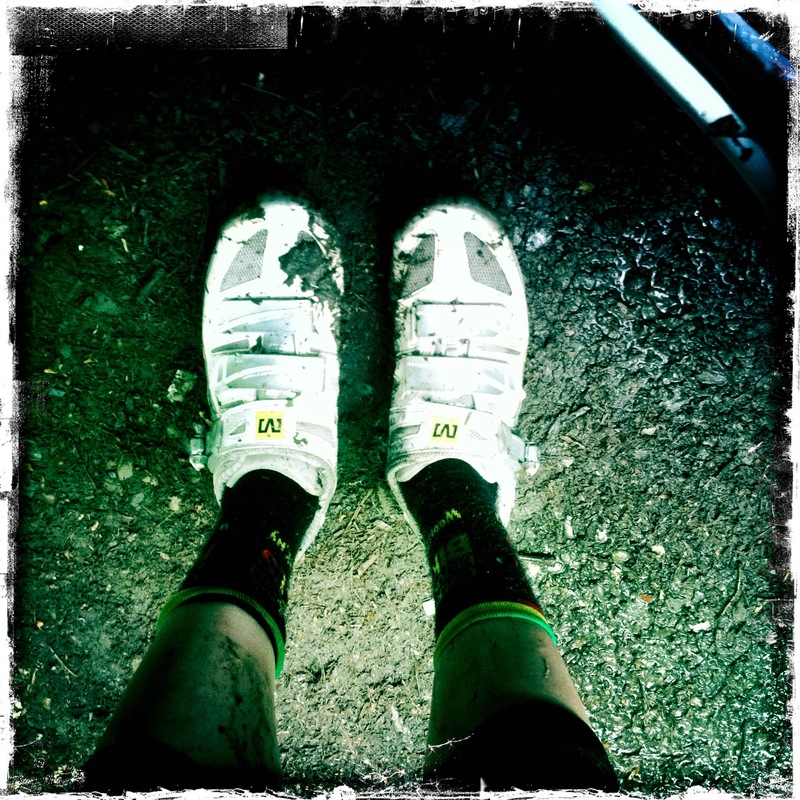 Shoes= back to cross racing cleanliness. All of the above causing my healing non-bruised legs which were finally short/skirt appropriate to turn back into bruised, scarred legs that cannot be shown in public. I must admit, despite my frustration, it was super fun and more challenging. PS It’s really kind of silly to wash your bike the day before you know it’s going to rain. Wash the day before= total waste of time.